I know, I know...it's been a while! I've been very busy establishing my online record store among other things; however, I realized that I've been accumulating some more post- worthy 45's, and it was high time to get back into action. 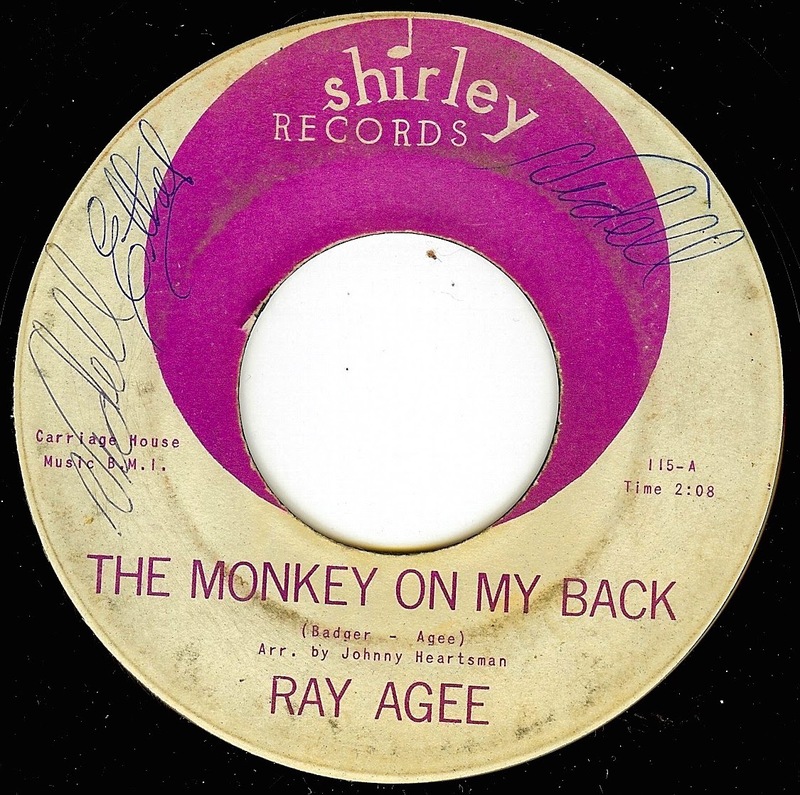 Ray Agee made several records with West Coast guitarist Johnny Heartsman, and Johnny cranked out a superb arrangement for this haunting track. While the song itself (and Ray's vocal delivery) is undoubtedly influenced by Ray Charles, the raw vocals and downright frightening lyrics make any comparison inconsequential.